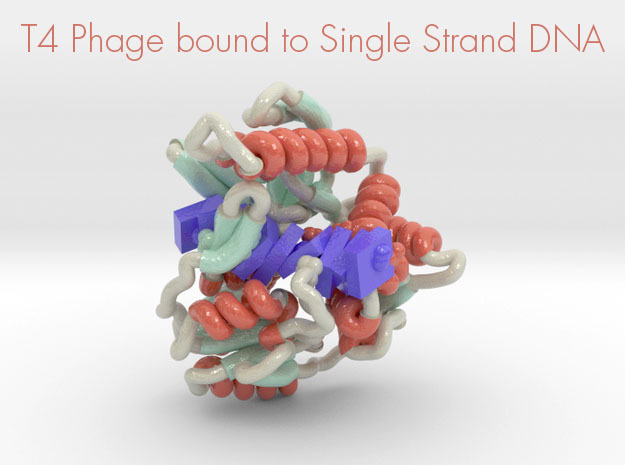 This is a 3D print of Neutral Ceramidase colored by the protein’s bFactor, or atomic temperature (blue cool, red hot). Models are available in multiple sizes. Neutral ceramidase (nCDase) catalyzes the conversion of the apoptosis-associated lipid ceramide to sphingosine, the precursor for the proliferative factor sphingosine-1-phosphate. 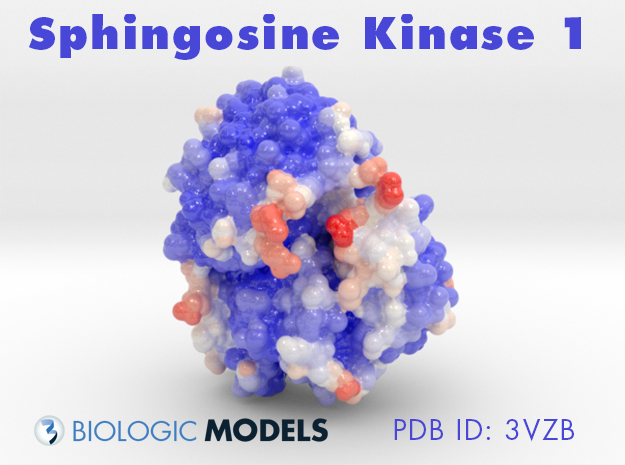 As an enzyme regulating the balance of ceramide and sphingosine-1-phosphate, nCDase is emerging as a therapeutic target for cancer. Here, we present the 2.6-Å crystal structure of human nCDase in complex with phosphate that reveals a striking, 20-Å deep, hydrophobic active site pocket stabilized by a eukaryotic-specific subdomain not present in bacterial ceramidases. Utilizing flexible ligand docking, we predict a likely binding mode for ceramide that superimposes closely with the crystallographically observed transition state analog phosphate. Our results suggest that nCDase uses a new catalytic strategy for Zn(2+)-dependent amidases, and generates ceramide specificity by sterically excluding sphingolipids with bulky headgroups and specifically recognizing the small hydroxyl head group of ceramide. 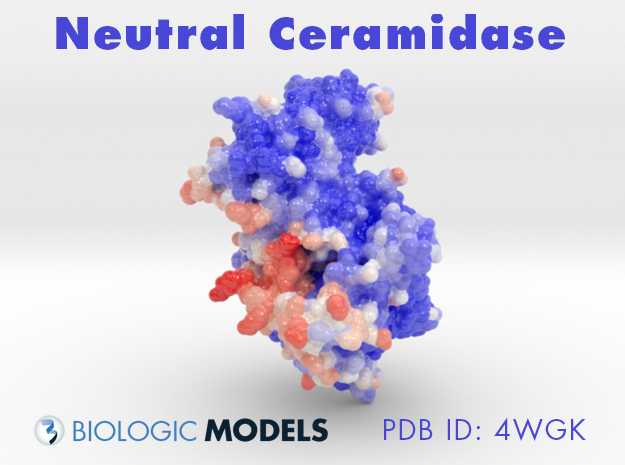 Together, these data provide a foundation to aid drug development and establish common themes for how proteins recognize the bioactive lipid ceramide.